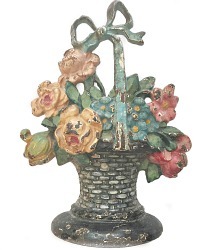 Wonderful decorative Hubley Cast Iron Doorstop featuring a bouquet of roses and forget-me-nots set inside a woven basket with a top French blue bow. 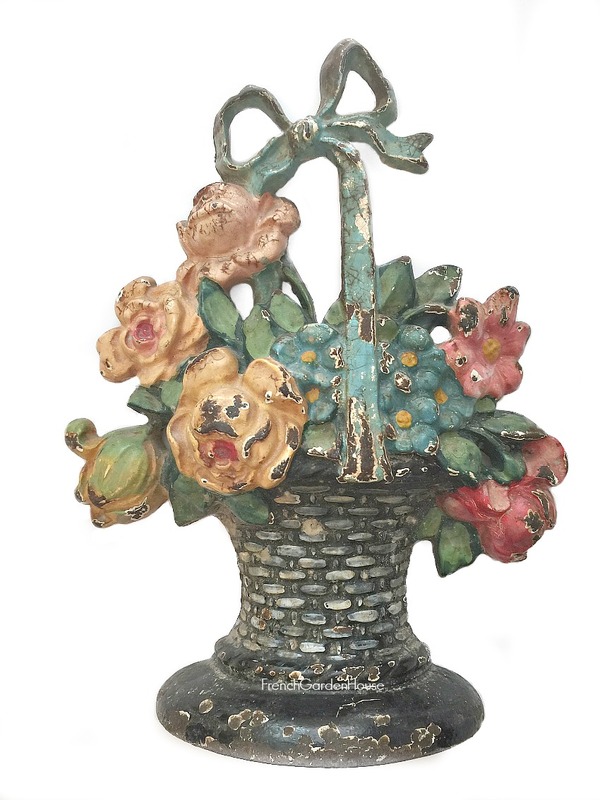 The basket sits on a heavy iron plinth and retains the original polychrome painted finish along with the wear and patina of a useful object almost 100 years old. 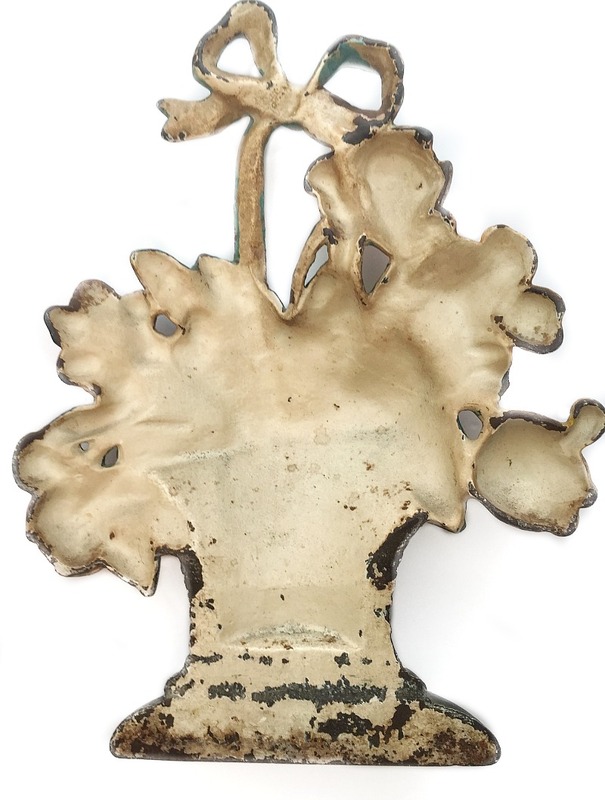 First incorporated in 1894 in Lancaster, Pennsylvania by John Hubley, the Hubley manufacturing company is well-known for their cast iron novelties. 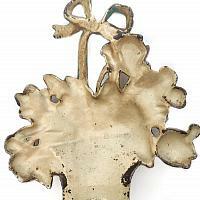 Their pieces are highly collectible and much sought after, especially with the original paint. This is a treasure for your collection, or the beginning of one. So charming! Measures 8-1/4" x 2" x 10-3/4"h.